Along with California’s efforts to provide universal preschool, it’s essential to ensure that early childhood educators are supported to continuously learn together in service of their young students. How do we build teacher leader capacity to support high quality early childhood educator learning? The work of early childhood teacher leaders in Berkeley Unified School District, a Mills Teacher Scholar partner, sheds light on one approach to building early childhood education teacher leader capacity. Principal Maria Carriedo began her career in elementary education. There she saw a teacher learning community led by teachers who would later become coaches in literacy and mathematics and peer educators for their fellow teachers. 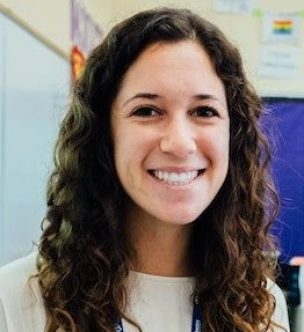 She carried this early career inspiration with her and now ensures that the teachers at BUSD receive support to develop their skills by being a district partner at Mills Teacher Scholars. Now in their second year of partnership, teacher leaders Joni Miller, Deborah Thies, Mike McLaughlin, Amanda Ibarra, Carla Scott, and Bonita Walker lead their colleagues in monthly collaborative inquiry groups that focus on social and emotional development and science. Teachers bring observational data of a focal student to each meeting and ask colleagues for help in understanding student learning and in improving their teaching. Teacher leaders Joni, Deborah, Amanda, and Mike provide their perspective on the value of teacher-led learning in their program in the quotes below. In the past, before we had this model of teachers leading teacher learning, the District might do a survey to determine what teachers are interested in, and then they would find an expert to come in and tell us things. Sometimes it was informative, but often it was not right. Furthermore, teachers were passively listening and not actively engaging. We are all capable, and we all know a lot, and this approach of having someone come and lecture us didn’t take into account the knowledge and experience we bring. Teachers are much more engaged with this method we are using now. The children we teach, many have special needs, many are from low income families. We have high expectations for them, and at the same time, some kids come in with so many needs and our job is to meet them where they are and address their needs. Students may be dealing with trauma or other challenges in their life. An outsider may not realize what the reality is for the teachers and students in this context. Teachers in our program have a comfort level in knowing that I’m not asking you to do anything I’m not doing myself. Sometimes a student who lives in a shelter may need to sit in your lap and hear a story more than anything else. The value of this kind of teacher-led learning is that we’re with familiar people, we all go through the same struggles and we have wonderful things at the same time to share. It has taken teachers some time to get used to this new kind of teacher-led learning. One of the structures we use is to go around in the circle and have each teacher share the issue they are bringing to the group and share their observational data. Each teacher talks for three minutes and then gets feedback from the group. It has taken a long time for everybody to feel that they could give feedback. Initially, each teacher did their three minutes but then they looked to me to give the feedback. Now, I feel like people are much better at giving feedback. It’s much more egalitarian now. In the last few meetings, teacher leaders have been focusing on helping teachers develop their science teaching practice. We enjoy listening to all the other teachers sharing new things they are putting in the classroom, what works with the kids, how to make it better, and get ideas from everybody because we didn’t have that opportunity before. We’re sharing materials, which we haven’t done that before. Teachers are now present, talking it through with peers and that reinforces how they are tying it in with standards. If you can explain it then you understand it.